FREE SHIPPING Within contiguous US on orders $25.00 or more. Orders under $25.00 charged $5.00. NEW Postal Shipping to Canada!!! 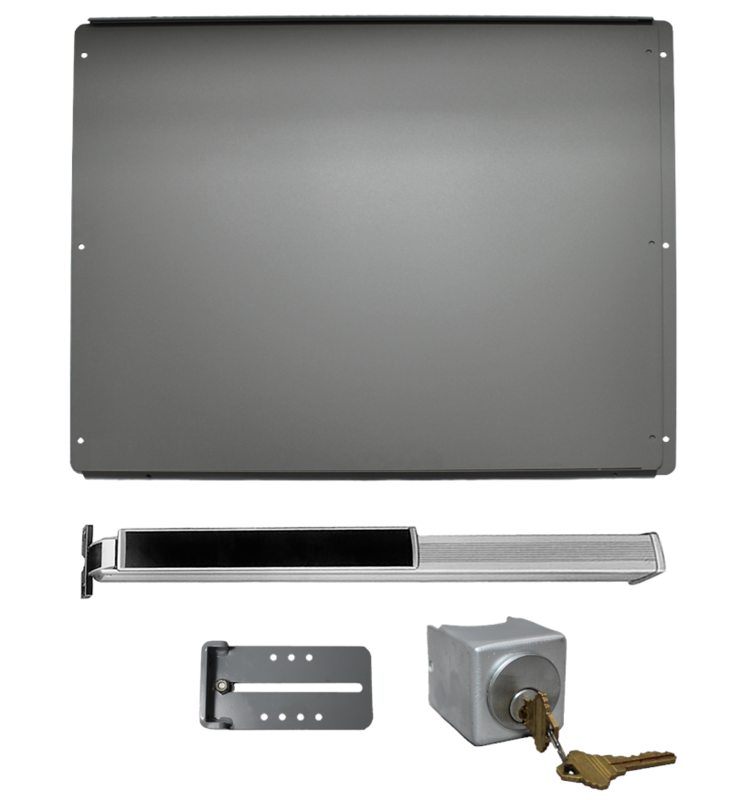 Lockey PS25- Safety Kit Panic Bar and Panic Shield Includes a Lockey PB2500 Panic Bar, Panic Shield, Strike Bracket, Keyed Cylinder and Key Box . Black or Silver Available. Alarm Option Available. 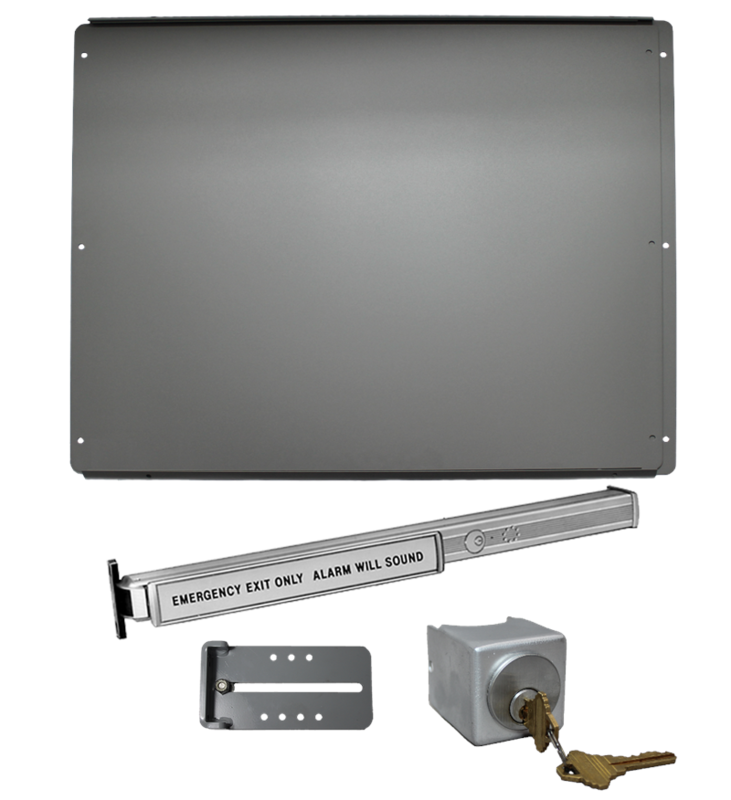 The Lockey PB2500 Alarmed Or Non-Alarmed Panic Bar Has a Patented Interlock Latch & Strike. 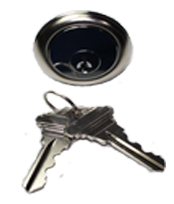 The Latch Rotates To Engage And Grip The Specially Designed Strike. 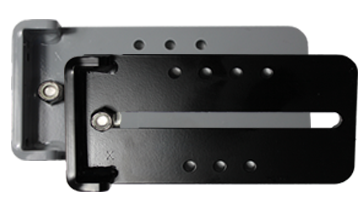 In Addition To The Latch And Strike, An Interlocking Mechanism Located Within The Chassis Offers a Double Interlocking System, Making the PB2500 Virtually Impossible to Tamper With, Pry, or Force Open. Lockey Panic Shields offer a convenient and easy solution to convert gates into panic exits where free egress is necessary. 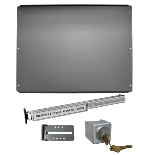 In addition to panic shields, Lockey manufactures panic bars, compatible keyless panic trims, keyed cylinders, and other accessories to create secure panic exit systems for gates. Lockey Panic Shield Kits offer turn-key solutions for users to select the kit that provides the level of safety and security that is required for their gate. 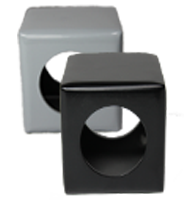 Choose Value, Safety or Security, including a Lockey Panic Bar, DETEX Panic Bar, or your own User Supplied Panic Bar. 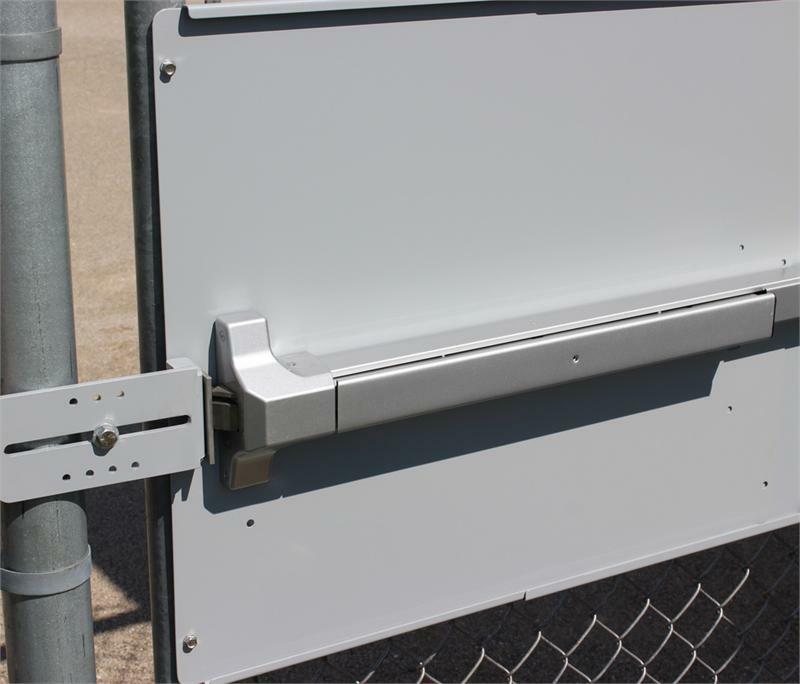 Panic Bar Mounting Plate For Chain Link Fence Gates Panic Shield. Turns Your Gate Into A Panic Exit. For Use With Lockey Panic Bars.